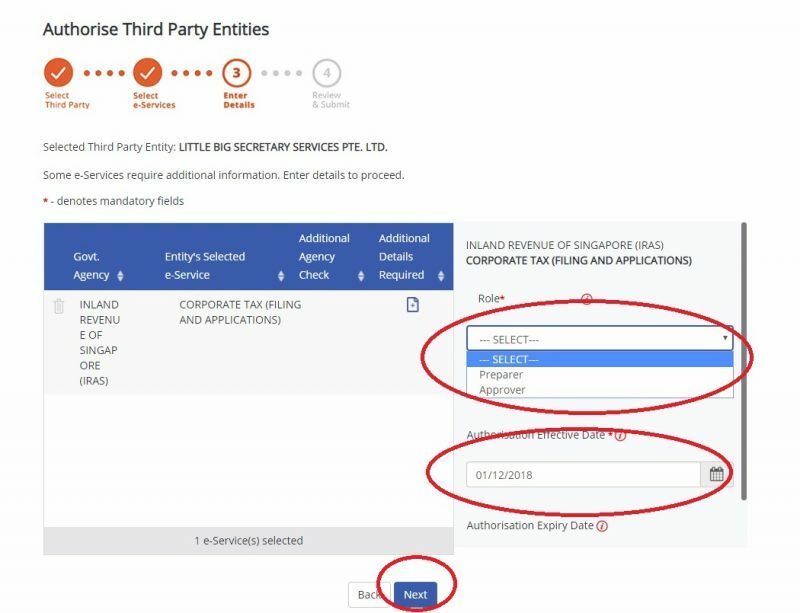 Tax filing season is here and for some companies, that means looking for a third party with the relevant expertise to file the company’s corporate taxes with the Inland Revenue Authority of Singapore. 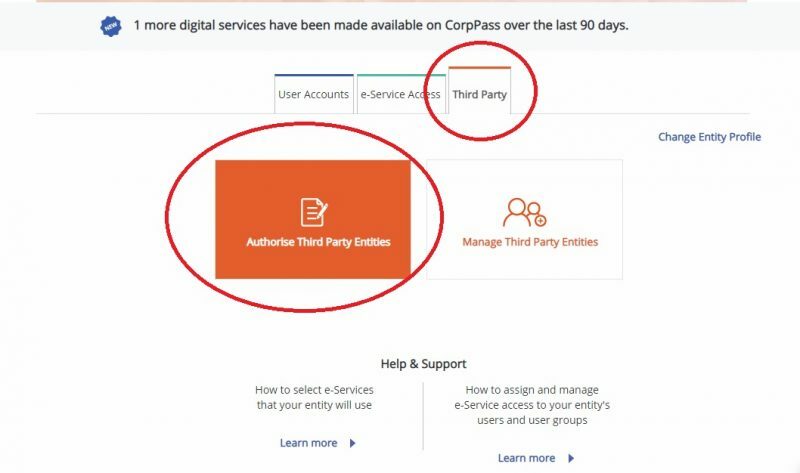 Here is a step by step guide on how to authorise a third party entity to file your corporate tax. Note: You will need to be the CorpPass admin to do this. 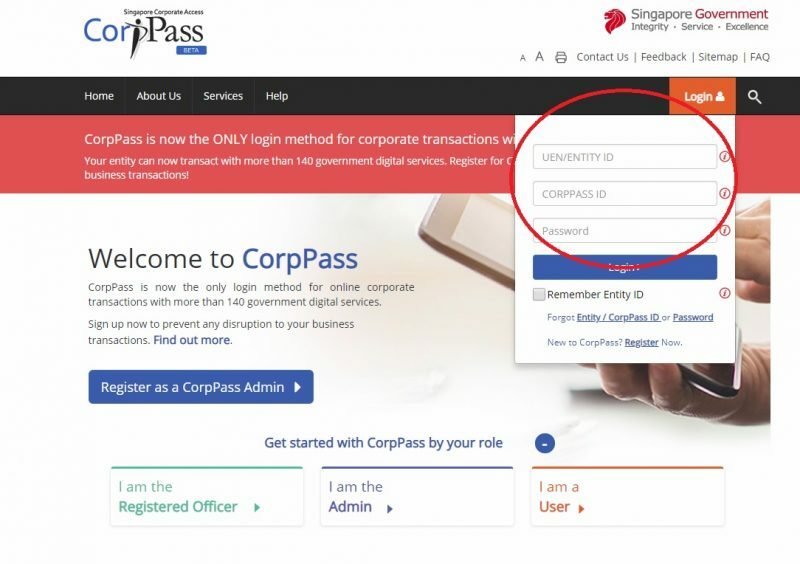 Step 1: Visit https://www.corppass.gov.sg/ and login via the fields on the top right of the screen. 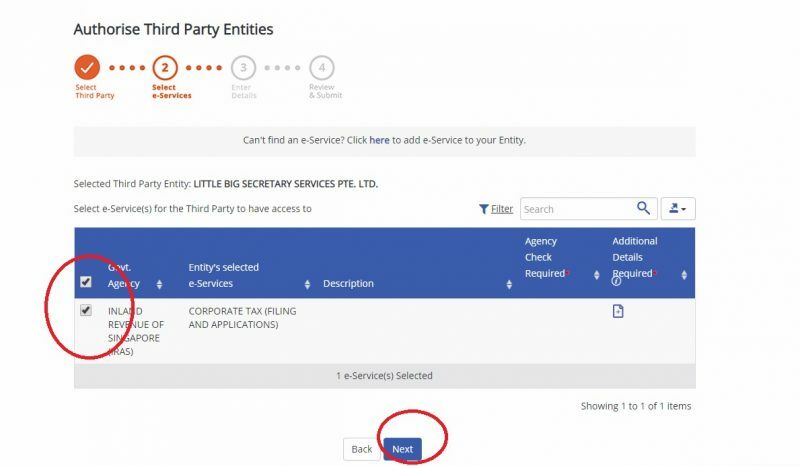 Step 3: Enter Third Party Entity’s UEN or ID or Entity’s name to search for the Third Party Entity that you would like to authorise. 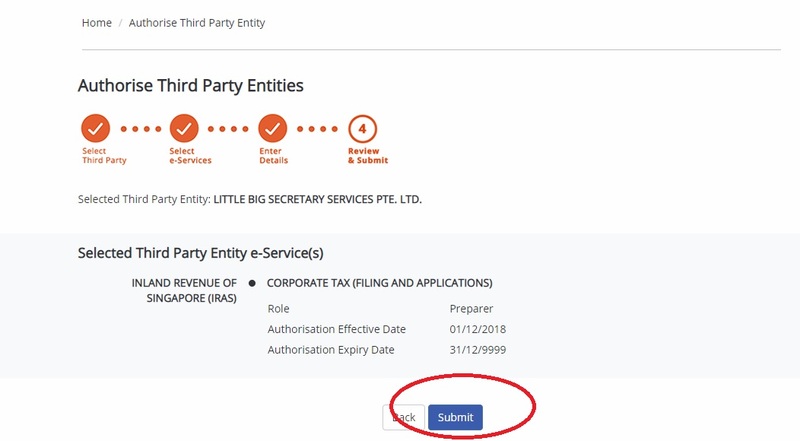 Step 4: Select Inland Revenue of Singapore (IRAS), Corporate Tax (Filing and Applications) option and click on the next button. 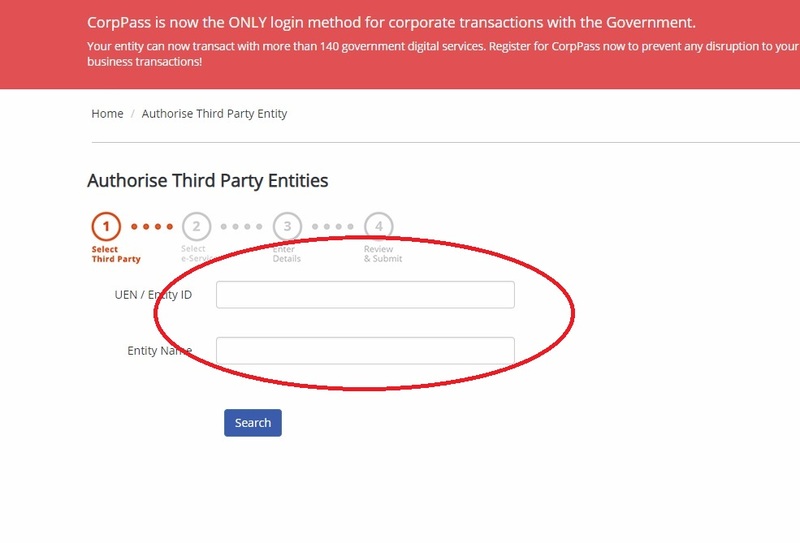 If you do not see this option, you will have to add it to your entity’s e-services. Step 5: Select the role of either Preparer or Approver and also the Authorisation Effective Date and click on the next button. The Preparer role cannot submit on behalf of the company and merely prepares the Form C or Form C-S to be submitted. The Approver role allows the third party to submit the Form C or Form C-S on behalf of the company. Please note that the directors of the company are still responsible for the accuracy of the submitted Form C or Form C-S to IRAS. 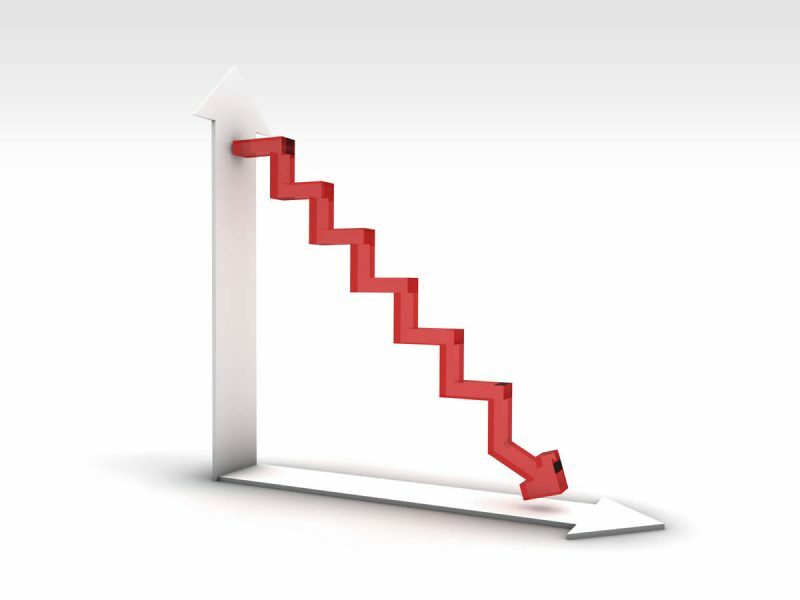 Hiring a third party to file on your behalf does not mean that the directors are not liable for the accuracy of the data that is submitted. Step 6: Review the information entered and click on the Submit button to confirm your submission. You’re all set. 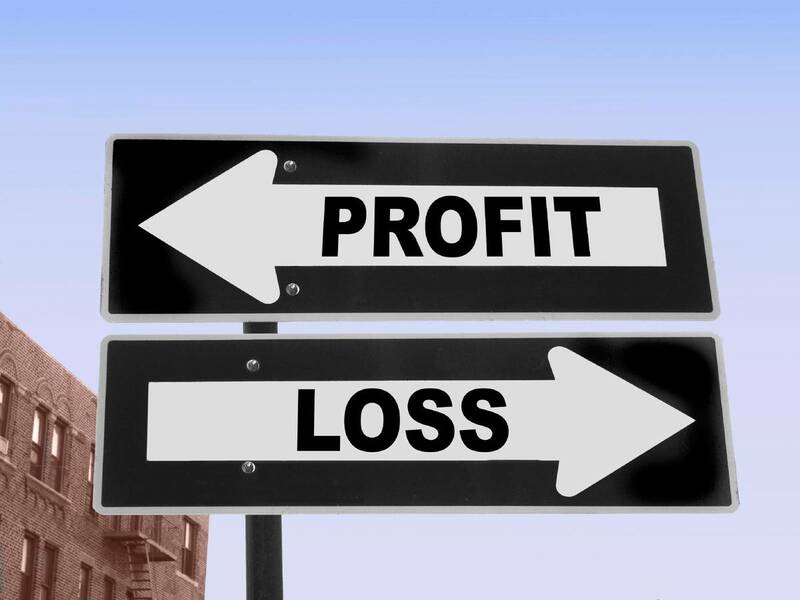 As mentioned above, even if a company engages a third party to file its corporate taxes, it will still be responsible for the accuracy of the information submitted. It is highly recommended that the third parties are issued preparer roles and the directors go through the prepared Form C or Form C-S before submitting the Form to IRAS.